We spent the day in he areas of San Stefano & Sant' Angelo, taking in the Accademia Bridge on our way. 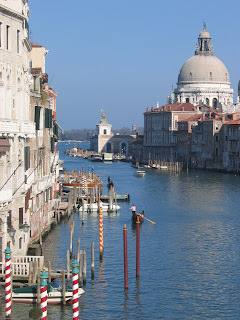 The Accademia Bridge is one of only 3 bridges over the Grand Canal. 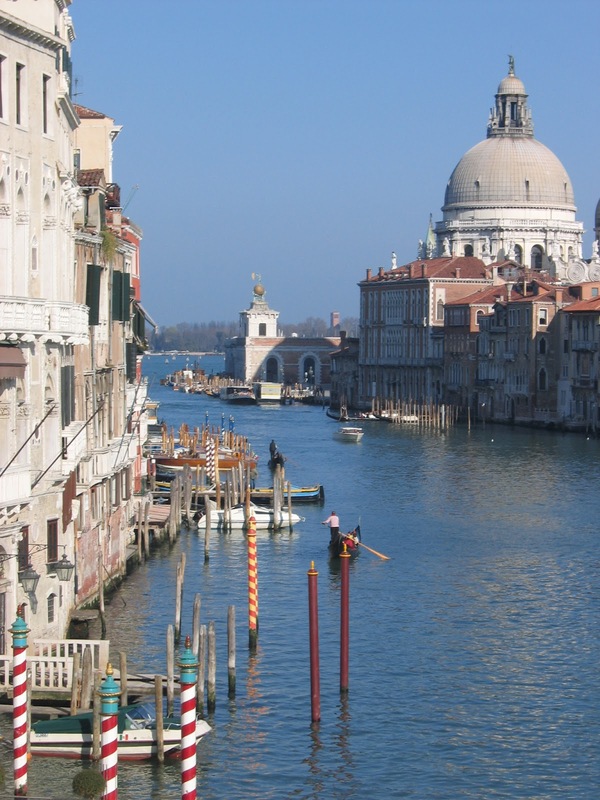 It links the Sestiere (district) of San Marco with that of the Dorsoduro The view from the bridge has to be one of the most famous views in Venice! 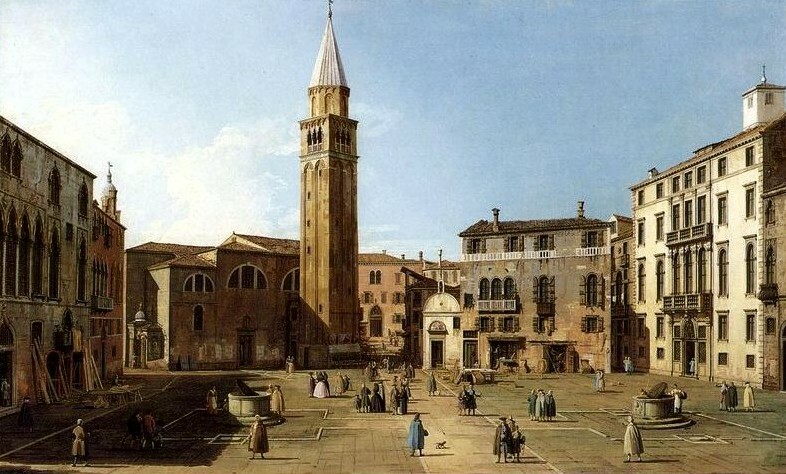 Campo San Stefano is one of the largest campo in Venice. It was used for bullfighting up to 1802 until the stadium collapsed. 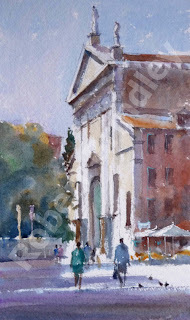 I chose to paint the church of Santo Stefano at the far end of the campo. Campo Sant' Angelo is famous for its leaning campanile. Join me in Venice - Places Still Available!